Brietzcke, Helen Shackleton. 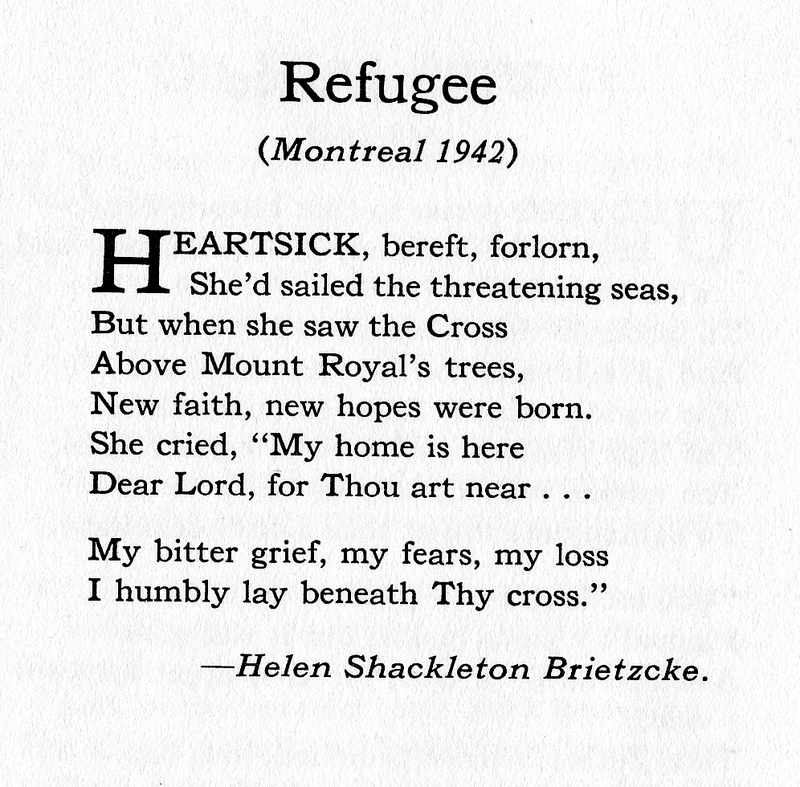 “Refugee.” Montreal in Verse: An Anthology of English Poetry by Montreal Poets. Ed. Writers of the Poetry Group (Montreal; QB: Canadian Authors Association; 1942) 13.